Sanden compressors come with refrigerant oil already installed. The amount of factory installed oil varies by model. Check the compressor label for the exact amount of refrigerant oil specified for your unit. Below is a list of Sanden compressor types and the refrigerant oil that was factory installed in each type. Sanden compressor oil can be purchased from authorized Sanden distributors. Only use Sanden compressor oil. Do not substitute other oil types in Sanden compressors. 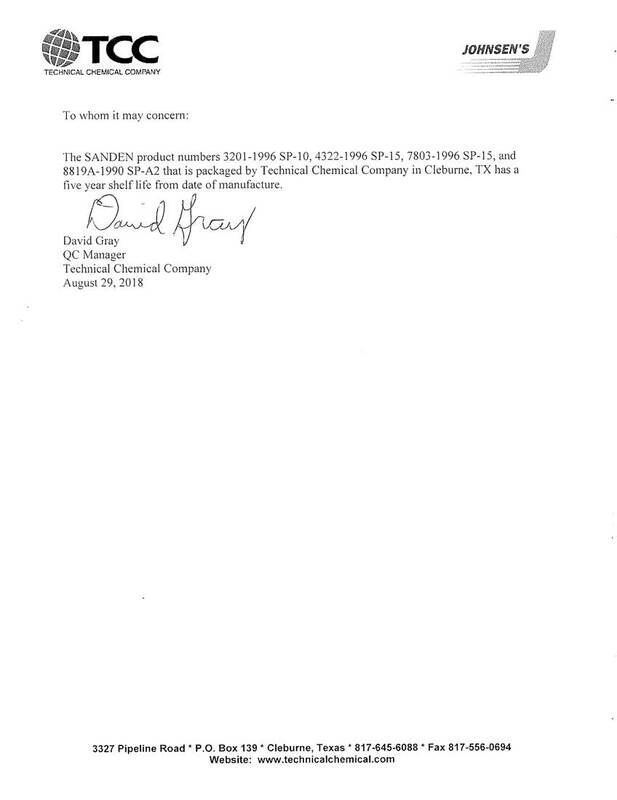 Sanden sells SP-15 (part #7803-1996) oil through authorized distributors.